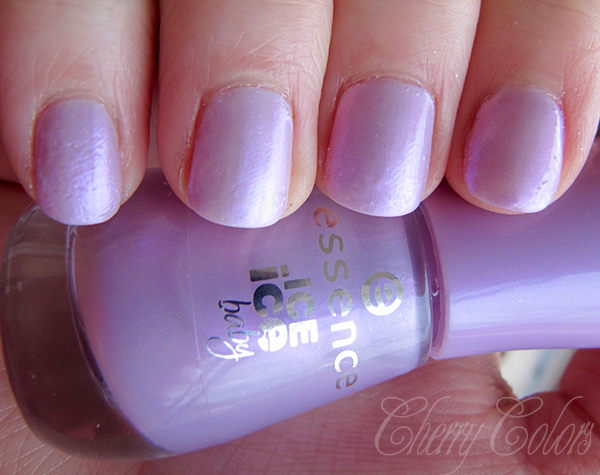 Essence Do the Rittberger (Ice ice baby 2014) - Cherry Colors - Cosmetics Heaven! As soon as I saw the promotional pictures, I fell in love with this nail polish. I mean, why not? It is pink-ish, looks wintery enough... right? Well, later I realized that it is sheer as heck(! 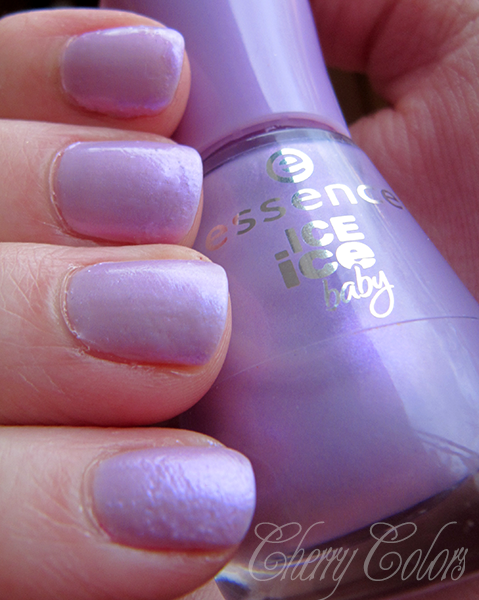 ), so I applied one coat of Catrice I scream: Ice cream (very light lilac) as my base color. Then it took me three layers of the Essence nail polish to show off some color. I am truly disappointed. But not because of the color pay-off, I could survive that. I got a severe case of bubbles! It has been ages since I got my nail polish to bubble, and I am not sure if it is because of the top coat or the so many layers of polish. Tho the nail polish was dry before I applied the top coat. Meh! I 'shopped the pictures so you get to see the color and not the bubbles, but included as an extra the bubbly picture. So you know what I was working with. Oh I also got sheet marks, because it seems it wasn't dry after all! 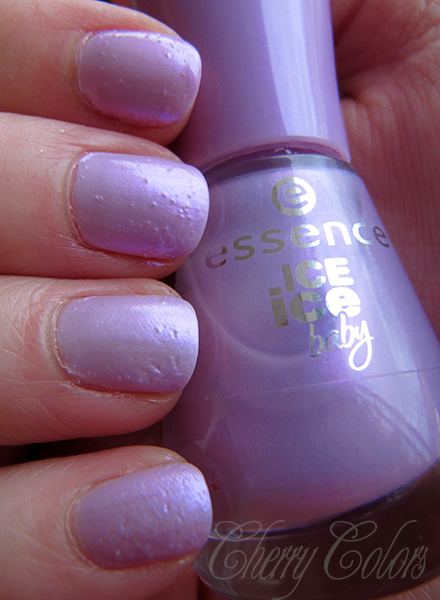 I would also like to add that Google searching for swatches of this nail polish got me to almost nothing. Weird. I do like this polish, but I don't know what to do with it. It takes so much work to just.. you know - work. It also reminds me a lot of a S-he nail polish I owned. I can't remember the name but it is the very right one from the S-he collection picture. Do you own this nail polish? How do you like it?